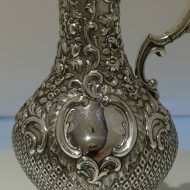 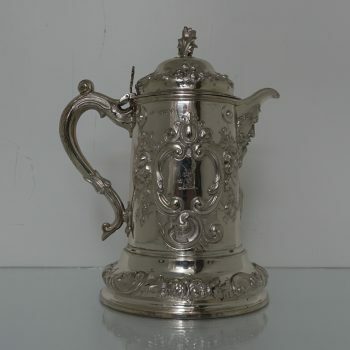 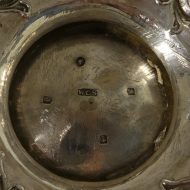 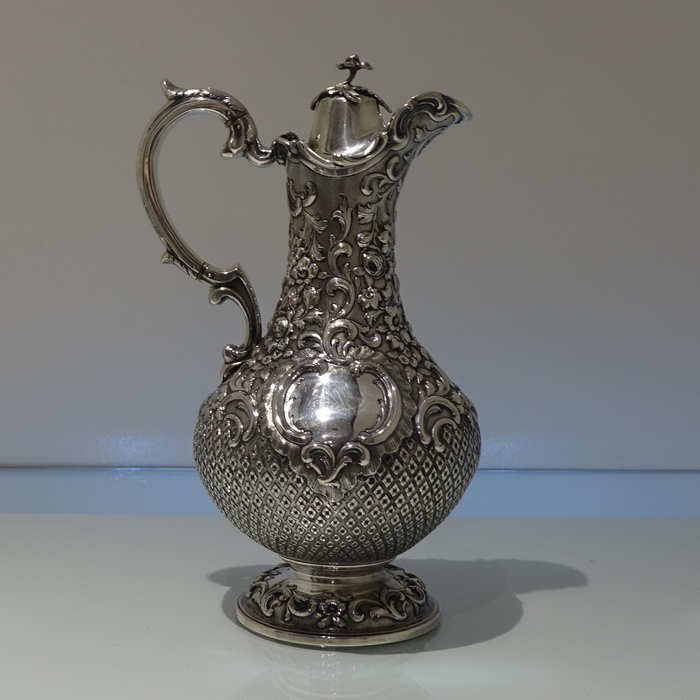 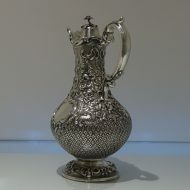 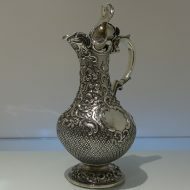 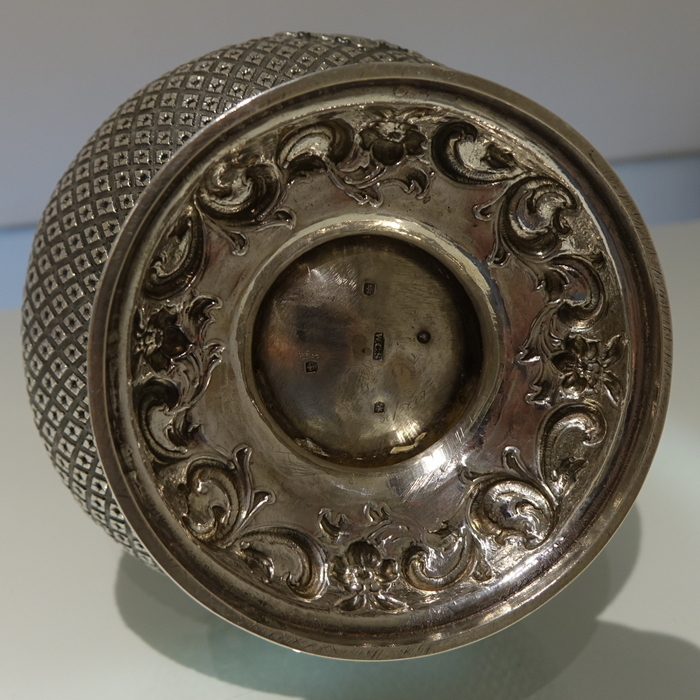 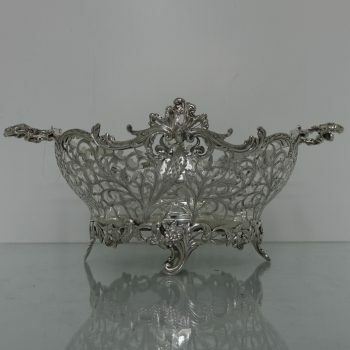 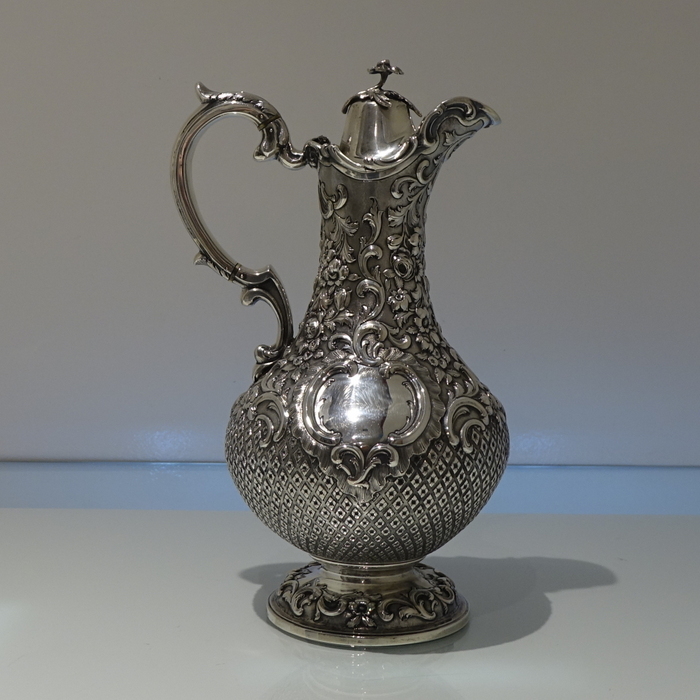 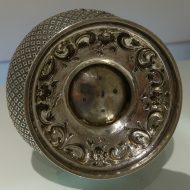 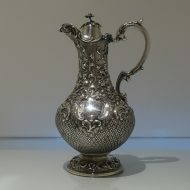 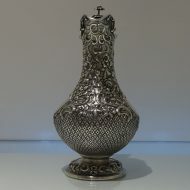 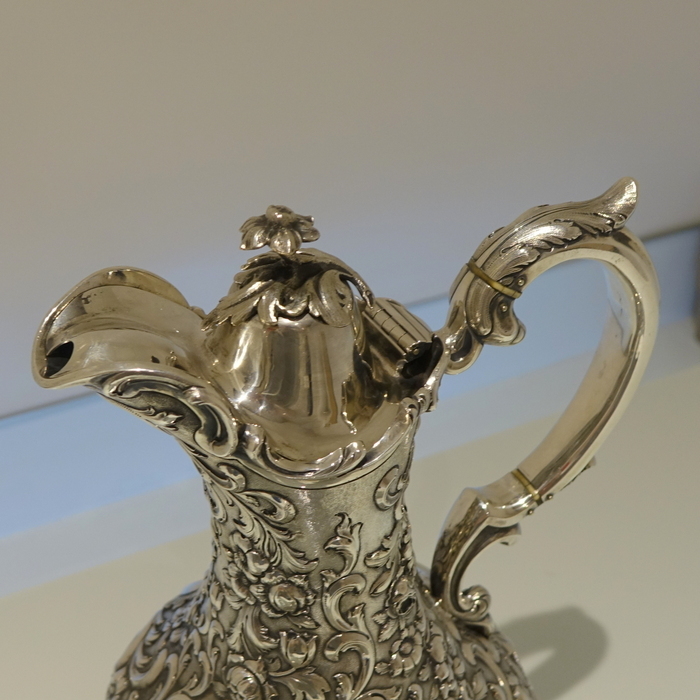 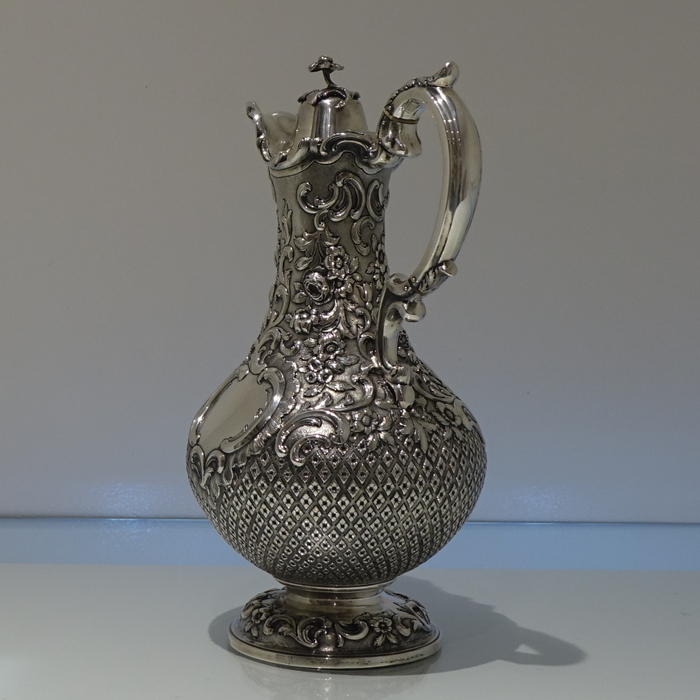 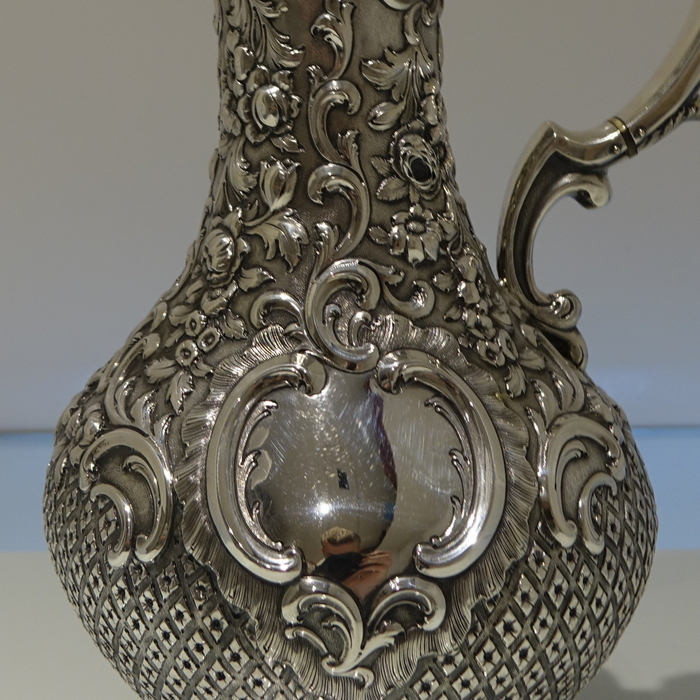 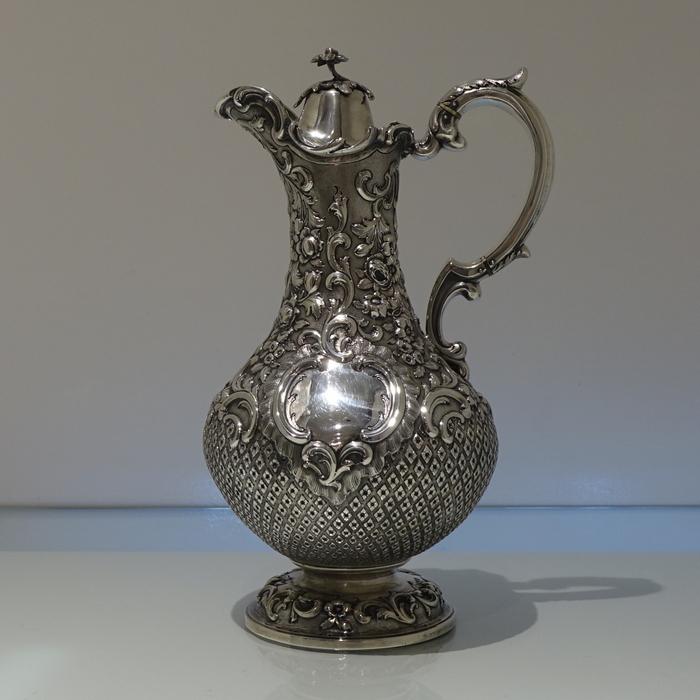 A fabulous Glaswegian designed Victorian silver wine ewer. 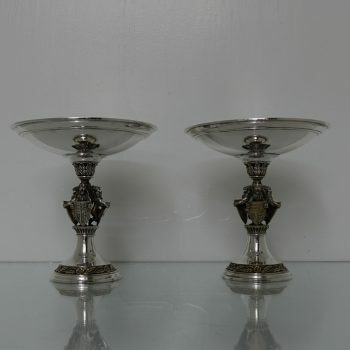 A fabulous Glaswegian designed Victorian silver wine ewer with elegant floral embossing for decoration which is set on a matt background for contrast. 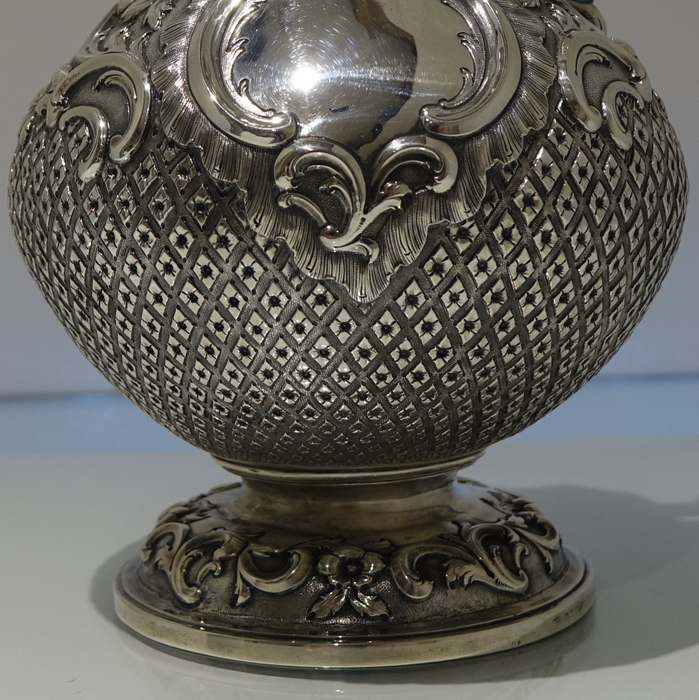 In particular the bottom of the body has stunning diamond shaped flower designs with additional matting for added contrast for lowlights. The lid is hinged and the handle is double scroll.